Termites live in the desert. It's not if you'll get termites but when. If you suspect you have termites, get a termite inspection and let us eliminate the problem for good. 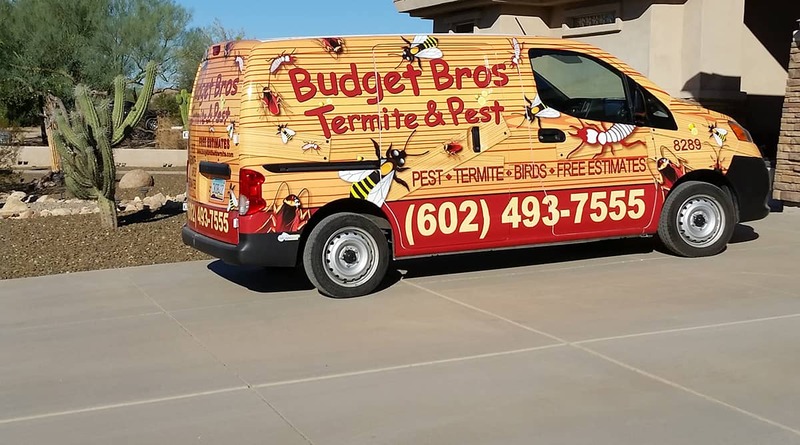 We offer effective and affordable termite elimination service for Phoenix homes and businesses. Lots of bees mean lots of trouble. If you have swarms or hives, on your property, you can't delay getting the problem handled. Budget Brothers will track them down to the source and get rid of them for good. Bed bugs. Small, blood sucking pests that live where you sleep. If you think you have bed bugs, you need help today. With state of the art inspection tools and trained technicians, we'll find and destroy them. Rodents may be nice when they're your pets but they're terrible house guests when they're not. Carriers of disease and attracting other pests, if you have rodents, you need immediate rodent elimination service.